Maybe the beige model is next? Posted by davelawrence8 at 8:36 pm on December 12th, 2012. No comments... » Categories: ipad. Tags: apple, ipad, rainbow. Subscribe via RSS. While there’s clearly a range of active third-party development going on to bring handwriting recognition to the iPad, unfortunately in my tests they’re far from the quality and accuracy offered by the last version of the Newton OS. 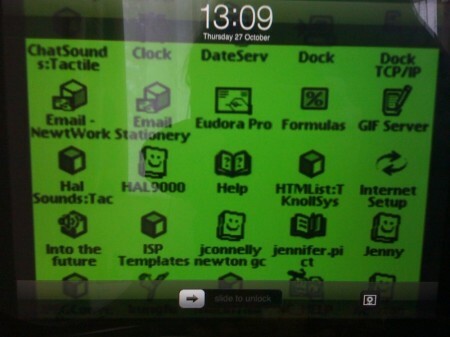 Mikol reviews several stylus options and a few iPad apps, looking for a potential replacement for his Newton in the iPad. His advice: try the free apps first, then spend money. Posted by davelawrence8 at 7:19 am on February 23rd, 2012. No comments... » Categories: ipad. Tags: apps, handwriting, ipad, newton, recognition, stylus. Subscribe via RSS. 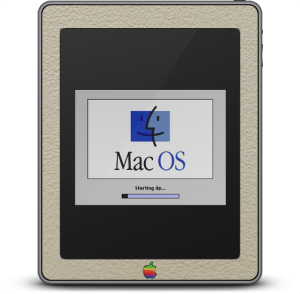 It’s only appropriate that today, on the day Steve Jobs announced the iPad 2, that Thomas Brand from Egg Freckles released a tablet for classic Mac lovers: the above G3-era version. This after I challenged him with a hypothetical blueberry model. Boy, does that guy deliver or what? Also: a beige model, for the classic lovers. Love how the Apple logo could serve as the new Home button. 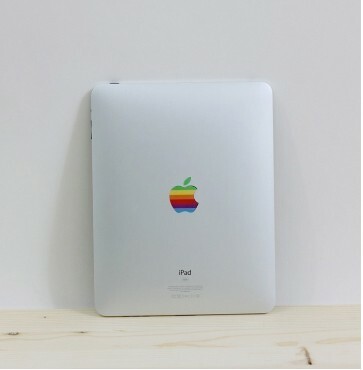 While the iPad 2 is the first iPad I’ve considered buying, I would pick up a pinstripe Apple tablet in a heartbeat. Posted by davelawrence8 at 8:16 pm on March 2nd, 2011. No comments... » Categories: humor, ipad. Tags: apple, beige, bondi, egg freckles, G3, ipad 2, pinstripe, tablet. Subscribe via RSS. Weird – they’re just now reaching two million? Oh wait. It’s a copy-editing mistake (check the URL). Posted by davelawrence8 at 8:37 pm on May 31st, 2010. No comments... » Categories: humor, ipad, ipod/iphone. 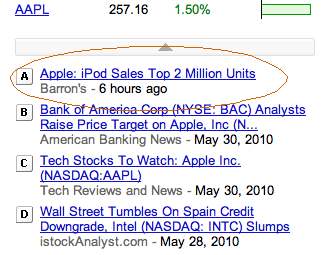 Tags: 2 million, apple, ipad, ipod, sold. Subscribe via RSS. - Andy Ihnatko. Feature lists are great, but they’re not everything. 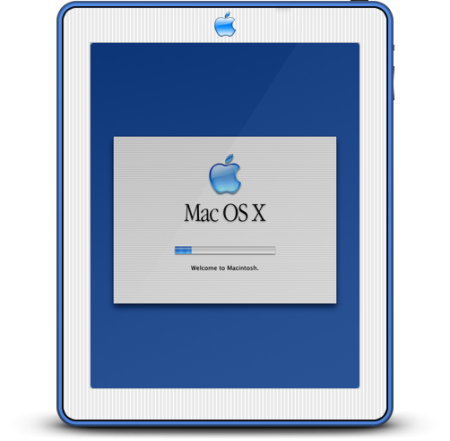 I’m keeping track of some Android fans that say, because the iPad is missing some items, it’s going to be a failure. They tend to concentrate on the wrong thing, like iMac haters did when Apple dumped the floppy disk. Posted by davelawrence8 at 2:00 pm on April 3rd, 2010. No comments... » Categories: apple, ipad. Tags: android, features, ihnatko, ipad. Subscribe via RSS. 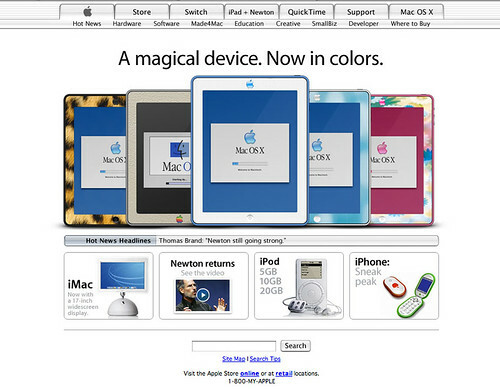 So to heck with the iPad – you’ve dreamed of someday winning an Apple Newton MessagePad in some random site’s giveaway. Well, ThinkGeek has heard your plea. They’re giving away an MP100 and a $1,000 shopping spree from now, April 1, until midnight. I know, I know – it’s probably a joke, right? Especially considering second prize is an iPad. But Think Geek says, “And while the Newton may seem impossibly awesome, we promise it’s true–this contest is NOT a joke.” Who am I to doubt them? Besides the $1,000 grand prize, the bundled Newton is a heckuva money saver. Posted by davelawrence8 at 5:32 pm on April 1st, 2010. 3 comments... » Categories: humor, ipad, messagepad. 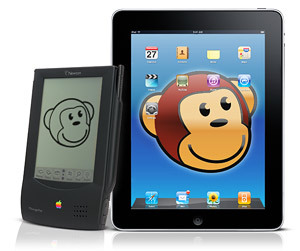 Tags: april 1, april fool's, contest, ipad, messagepad, newton, prize, thinkgeek. Subscribe via RSS. Posted by davelawrence8 at 6:16 am on April 1st, 2010. 2 comments... » Categories: humor, ipad, ipod/iphone. Tags: apple, imat, ipad, ipod, phone, steve jobs. Subscribe via RSS.